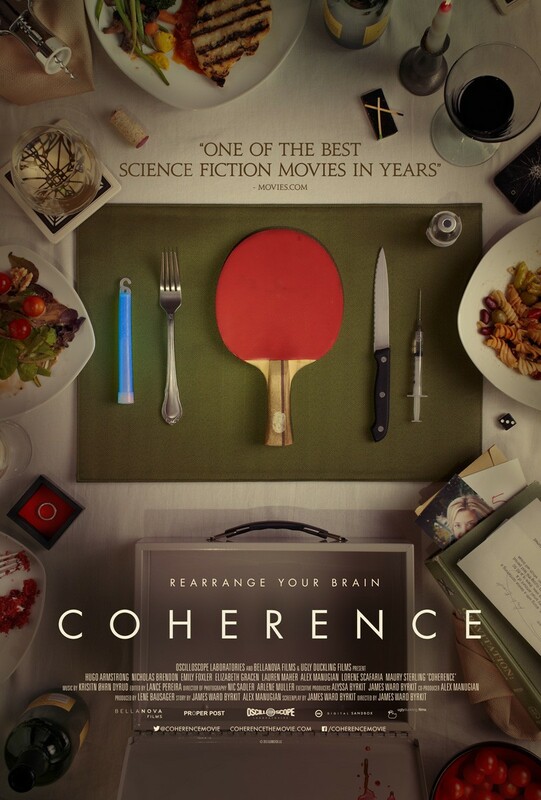 Coherence is James Ward Byrkit’s directorial debut and features a limited set and no set script. For the first ten minutes I was beginning to think that it was a rather dull relationship drama about the various insignificant couples at a dinner party. But following a power cut things start to get interesting. Looking outside they see that all but one house has lost power. One of the attendees needs to make a phone call so heads over (with another of the party) to the only house with power, returning with a cut head and a strange locked box. What is inside the box frightens the friends and they start to investigate possible explanations for what is happening, which only creates more paranoia and tension. With just a single location (the film is actually shot in the director’s own home) and just 8 actors, Coherence creates a much bigger world than it may suggest. A clever sci-fi tale of parallel universes and quantum decoherence that neither dumbs down for, nor bamboozles it’s audience.